A new version of the product Database of 4000 Diseases, Disorders and Illnesses has been released. The updated release includes a searchable MS Access database (version 2003) in addition to its usual SQL dump and TAB delimited files. The MS Access database will require a run time version of MS Access 2003 (at minimum) which is freely available. The searchable mdb file is not meant to be a full application. 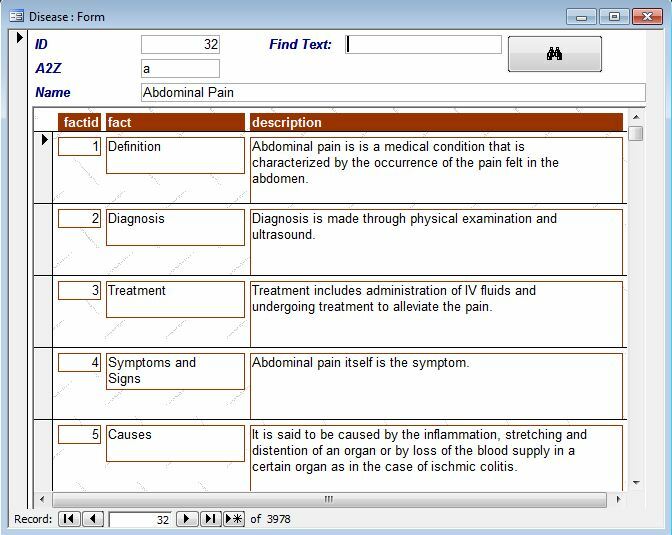 It is provided as a tool which will provide an easy interface to browsing the database or to quickly finding topics related to an illness, disease or condition.